Tommy Smith recognizes that a successful litigator achieves the client’s goals in a cost-effective and timely fashion while keeping the client both informed of the progress of their case and in control of the litigation. For the past twenty-five years Tommy has developed an aggressive, analytical, and flexible approach to litigation that leads to the attainment of those goals. Having tried close to one hundred jury, bench and administrative trials and arbitrations, Tommy has developed the skills to successfully try cases and the ability to recognize when to counsel for a resolution that minimizes the risks inherent in litigation. With an extensive knowledge of both the law and its practical application, Tommy has worked with corporate clients to resolve disputes through trial, appeal, arbitration, or mediation. As a former New Orleans police officer, Tommy appreciates both the value of long-term strategy and the ability to adapt tactics to the often changing positions of opponents in order to win trials or achieve the best possible result. 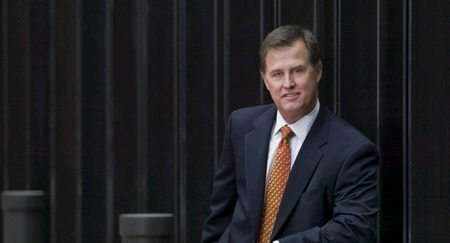 His analysis and precision have helped obtain successful verdicts, dismissals, and settlements for clients including international drilling companies, oilfield service providers, pipeline transportation and energy storage companies, regional oil and gas exploration firms, one of the world’s largest platform and rig companies, nursing home and long-term care providers, as well as their underwriters and other insurance companies. Litigating commercial claims arising from charter parties, leases and other contractual arrangements. Focused on efficient, economic dispute resolution, Tommy realizes that litigation is frequently not the best or only solution to achieve the best possible results. He has in-depth experience with alternative dispute resolution, including arbitration and mediation. Tommy has worked with clients to implement and utilize arbitration programs applicable to claim asserted by their employees and other contractors. Tommy has earned an “AV” rating from Martindale-Hubbell, the directory’s highest rating for attorneys. Tommy was selected by New Orleans Magazine in 2009 as a “Top Lawyer” in the areas of Insurance and Labor and Employment. He has been invited speaker at seminars for the Jones Act, Longshore and Harbor Workers’ Compensation Act, claims handling and investigation, and employment practices. Tommy is a member of the Texas and Louisiana state bar associations, the Louisiana and Texas Associations of Defense Counsel. Tommy has also been selected by his peers for inclusion in The Best Lawyers in America for Admiralty and Maritime Law in 2019.